How well does a Ford Focus RS work at being a Sheep Dog? 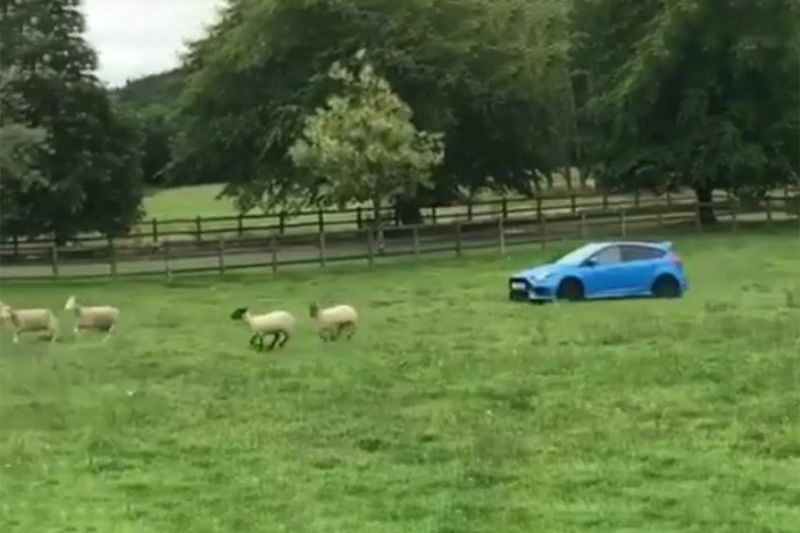 I’m not entirely sure I can say I suggest you try this with your own car – and your own field of sheep if you have one – but I’m glad somebody did it because it’s absolutely crazy to watch. While most everybody can figure out what is going on without my having to explain it, I’m going to walk you through this anyway because it’s something I’ve never seen before. At first, it looks like the driver of this slick little Ford Focus RS has just decided to take his ride out through a grassy pasture to do a little rally-style driving. Before the sheep come into view, all we see is the black-on-blue hot hatch bouncing and sliding through the field while the driver works the throttle and the steering to keep the car sliding. However, as the camera pans, we see the true purpose of the off-road adventure: herding sheep! Just like a trained herding dog, the driver swings the Focus around and sends the herd scampering right where he wants them. With a little more throttle, both for the noise and control of the car, the driver slides on around and redirects the herd again, adding in a couple of beeps of the horn for good measure, much like how a sheepdog would bark I guess. This goes on for the rest of the video, which isn’t too long, but it’s crazy to see a car being used in this manner. This just goes to show you that no matter what, you may think you’ve seen it all but I can almost guarantee that until now, very very few people out there have seen a car used to herd sheep like this. What’s your secret superpower? Could you herd animals with a car? What else do those of you out there watching do that nobody else does or can do? Hit us up and let us know, if it’s something we think our audience would enjoy, we just might share your video too!